The fire safety tips and information and Kidde Smoke alarm giveaway within this post are being sponsored by Kidde. While the statistics and information about the new Maryland law specifically apply to Maryland residents, the information is relevant to everyone, and as always, opinions are my own. Live in a home that uses battery-powered smoke alarms? Ever forget to replace the batteries in your smoke alarm? Have smoke alarms installed only in hallways and not in every bedroom? Know the last time you replaced your smoke alarm? Was it more than 10 years ago? Plan to renovate your home or move to a new residence? As of July 1, 2013, homeowners in Maryland with battery-powered smoke alarms that are more than 10 years old must update to long-life sealed-in battery smoke alarms. Also, homes will be required to install smoke alarms in all sleeping areas. 60% of U.S. homeowners have left a smoke alarm without a working battery. Fire experts recommend installing smoke alarms on each floor and in sleeping areas. Three out of four homeowners don’t know the proper locations for installation. Fire experts recommend replacing smoke alarms every 10 years. Industry surveys show one in four homes – those built prior to 2002 – have never replaced their alarms. After 10 years, a smoke alarm’s efficiency may be compromised with accumulated dust, insects, airborne contaminants and aging electrical circuitry. “We know that fire safety isn’t at the top of everyone’s minds, yet someone dies in a home fire every three hours in America. We’re proud to help Maryland fire officials spread the word and remind families that a simple step like installing a smoke alarm could save lives,” said Chris Rovenstine, vice president, sales and marketing, Kidde. Ten-year sealed-in battery smoke alarms, such as Kidde’s Worry-Free line, are available at home improvement retailers and cost between $25 and $50. With no need to replace batteries, consumers will save about $40 in battery costs over the life of one alarm. Install smoke alarms on all levels of your home and ensure that they are working properly. Establish a family fire escape plan and talk to your kids about it regularly. 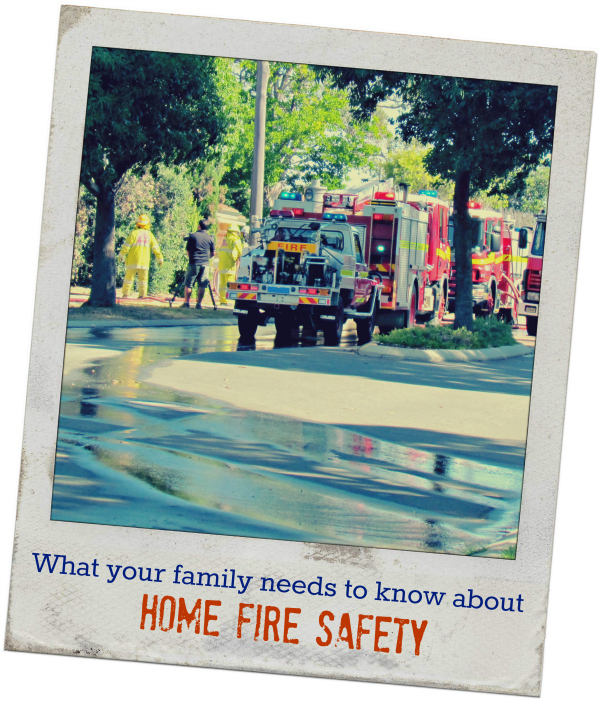 Make sure that everyone in the family knows that if there is a fire, they need to get out and stay out – and fast! Teach kids that fire is a tool not a toy – and store all matches and lighters out of children’s reach. Check appliances and cords regularly and watch for overheating, unusual smells, shorts or sparks – and unplug appliances when not in use. Most fatal fires happen in homes where the alarm either didn’t operate (because of old batteries) or wasn’t present. The National Fire Protection Association (NFPA) recommends installing smoke alarms on each floor and in sleeping areas, yet three out of four U.S. homeowners don’t know where to place them. On average, you have less than three minutes from the sound of the first smoke alarm to escape. The sooner you hear an alarm, the more time you have to respond. The NFPA recommends replacing all smoke alarms every 10 years. Aging smoke alarms may not operate efficiently and often are the source for nuisance alarms. Surveys show 20% of alarms in older homes have never been replaced. Have yours? 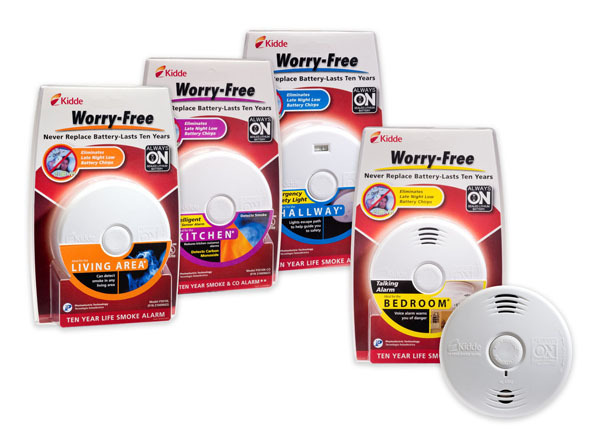 One Better in Bulk reader will win a Kidde Worry-Free Smoke Alarm (US residents only). Enter on the Rafflecopter form below before July 31. Winner will be chosen at random and notified via email. Good luck! Fire truck picture from RGBstock (home of great free stock photos). Fire experts recommend replacing smoke alarms every 10 years. Hummm, I rent this house and I just realized these look older. I never thought about replacing old ones. Smoke alarms are definitely a great start in home fire safety planning. Alarms will hopefully get everyone awake and alert, but families also need to practice an escape plan to get out of the house, and where fire extinguishers are in case you need one to extinguish a small fire, or use it to get outside. I also recommend combination alarms (smoke & carbon monoxide) with a voice alert as those will address the two most common concerns, and the voice alert has been shown to get kids awake faster than the common “beep”. We have a fairly small house but we still have a fire alarm in almost every room and we have three different escape plans in place just in case we are in different areas of the house. We also make sure there is nothing left plugged up when we leave the house or when we go to bed that may catch on fire. Set reminders to replace batteries in smoke alarms. My tip is to have a couple of small fire extinguishers and know how to use them. I think it’s time to update our smoke alarms! When you change the clocks change your smoke detector batteries. I learned to install fire alarms on all floors.